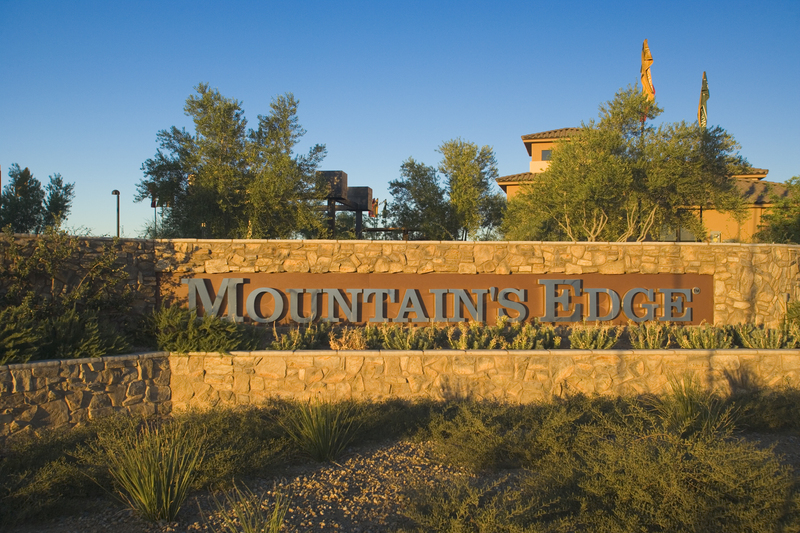 Mountain’s Edge has consistently ranked as the best-selling master planned community in Nevada – and is also named among the country’s top master plans by national real estate advisory firms. The community has an entire network of existing and planned schools, professional offices, restaurants, and neighborhood shops – ranging from convenience and grocery stores to nearby malls and outlets. It's also just a short drive from the amazing food, shopping and entertainment offerings of the Las Vegas Strip. The community also features hundreds of acres of land devoted to open spaces, parks, and trail systems, and was the region’s first drought-tolerant community. The lush desert landscaping throughout the community conserves the desert’s most valuable resource: water. It is estimated that the landscape plan at Mountain’s Edge saves over 200 million gallons of water annually versus traditional grass sod landscaping. If you're looking for homes in the community of Mountain's Edge, click HERE or call 702.796.7490!